Our brand spanking new February edition will be out on Monday afternoon (2 February). It’s been a long wait since the December/January edition hit shops, so look out for the new issue, packed full of news, arts, clubs, sports and much more! 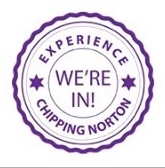 It’s also the Chippy News team meeting on Monday evening – 7.30pm in the barn at The Chequers in Chipping Norton. If you fancy joining the team, come along – or if you have any ideas for stories you think we should cover either on the website or in our March edition, get in touch via the comments form here, on our Facebook page or via our Twitter feed. Aside | This entry was posted in news and tagged Chipping Norton, Chipping Norton News, Chippy News, Facebook, Twitter. Bookmark the permalink. 2 Responses to New edition out on Monday! Would like to put an article in next issue about recruiting for more Cotswold Voluntary Wardens. How would I go about this and when is the deadline for submissions? Hi Gerald, the deadline for our April edition is Friday 13 March, as the March edition has already gone to press. The contact details are in the back of the current edition (you can email your piece or drop it into the address given), but if you need any further advice, let us know and we’ll email you.